Bring a friend and book a taxi, it’s cocktail time! After our “back to nature” foraging for food in October we’re ramping things up in the glamour stakes for our November meeting with an evening of Cocktails and Canapes. 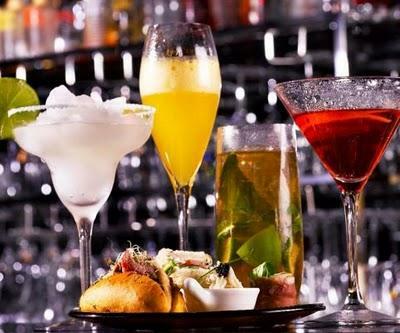 Local mixologist Juliet Lowrie will be demonstrating the art of shaking up the perfect Christmas cocktail as well as how to make delicious canapes to accompany her party potions and there’ll be plenty of opportunities to sample along the way (I fear the hangover already!). So, if you’re looking for inspiration for this year’s Christmas celebrations or just fancy a more interesting tipple on Christmas Day then look no further! Friends, relations and curious minds are free to come along to this and all of our meetings for a small £4 charge. We’ll be meeting as usual on the first Wednesday of the month (November 7th) at St Marys Bathwick Church Hall from 7.30pm and our refreshments this month will echo the theme of the meeting, so party shoes at the ready ladies.